THEY'RE one of our pride and joys, but now Mon Repos turtles are being taken for a ride - all the way to Brisbane. Up to 80 turtle eggs were collected from the rookery earlier this year and put into an incubator at Queensland Museum. The hatchlings will be showcased at next month's Brisbane's World Science Festival and once festivities are over, the baby turtles will be released into the ocean at Mooloolaba, instead of returning home. The "disturbing" move has Mayor Jack Dempsey up in arms. Cr Dempsey fronted media this morning about what he said was the government department's "plot to undermine Mon Repos as Australia's iconic showcase of sea turtles". 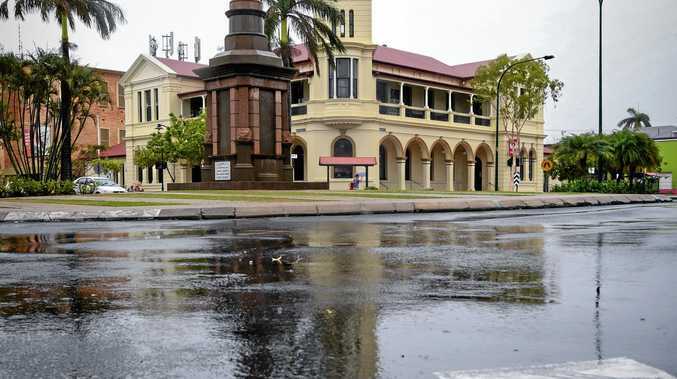 "The government has asked council to introduce strict development controls at Mon Repos to protect the unique environment of the turtle hatchery," Cr Dempsey said. "We're happy to comply because we recognise the environmental significance and tourism value. "It seems contrary to the spirit of this protection to remove eggs from their natural environment to put on a show for city kids." Cr Dempsey said Bundaberg was the natural home of turtles. "Government departments shouldn't be undermining this by promoting an artificial alternative," he said. The Sunshine Coast Daily recently published a story about the science festival, spruiking the soon-to-be exhibited Mon Repos turtles and telling readers to bypass the Bundaberg region altogether. 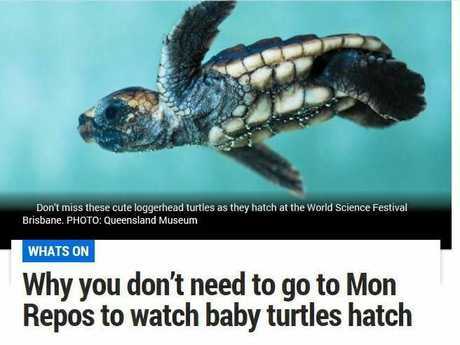 The article stated the collaborative project, between the Department of Environment and Heritage Protection and the Queensland Museum, aimed to raise awareness and support for the threatened Loggerhead turtles and give those unable to travel to the Mon Repos rookery an opportunity to see them up close. Queensland Museum senior vertebrate curator Patrick Couper told the newspaper the activity was a testament to the decades of research by the Queensland Turtle Research Program and its leader, Dr Col Limpus, who was based at Mon Repos Turtle Rookery. "This event is only possible because Colin has such a wealth of information about the turtles, having studied them for 50 years, that he is able to calculate the length of time needed and incubation temperature required to hatch the eggs on a known date," Mr Couper said. The whole process, from removing the turtle eggs from Mon Repos, keeping them in incubation and then releasing the hatchlings elsewhere was non disruptive, according to Mr Couper. 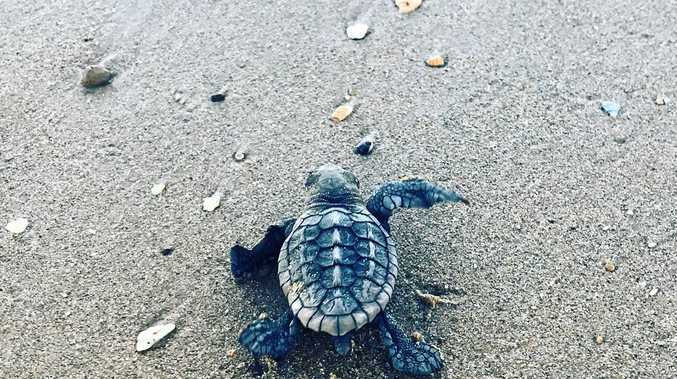 "One of the questions we often get asked is whether this interferes with the turtles' ability to find their way back to a nesting beach when they're old enough to breed. It doesn't," he said. "Loggerhead turtle nesting occurs in South-east Queensland from the islands of the southern Great Barrier Reef to Moreton Bay, so we're actually hatching them in their natural breeding range." But Cr Dempsey said taking the turtles away from Mon Repos had angered the Bundaberg community and council, who worked hard to create a safe environment along the region's coastline for turtles to thrive. Projects included the installation of red "turtle-friendly" lights which emit a much softer glow -making the beach more attractive for turtles, who prefer darkness, especially when it comes to nesting. "Turtles are so important to this region, not only from the tourism and economic side but also to the way that our community is already protecting the environment and are committed in the future of our turtles," he said. "When we see 80 turtles taken away ....and released into the Mooloolaba passage... we say enough is enough." "They were laid here on the beaches of Bundaberg and they deserve to be hatched here as well." The NewsMail contacted the Department of Environment and Heritage who referred our inquiry to the Queensland Museum, but their turtle expert was unavailable today. Bundaberg and North Burnett Tourism general manager Katherine Reid said the turtle exhibition at the World Science Festival would bring many benefits to Bundaberg. "The idea of our turtles and the wonderful research at Mon Repos being showcased at the World Science Festival is really exciting - it puts Bundaberg in the spotlight in our core target market and will enhance tourism opportunities in the region," Ms Reid said. "We hope that this will drive further desire to visit the Bundaberg region to see the full process, in the wild." Ms Reid said last turtle season just over 30,000 people enjoyed the ranger- led Mon Repos Turtle Encounter experience, with 92 per cent of visitors coming from outside Bundy and staying overnight.